Originally from Dublin, Michael Wann lives and works in Sligo. Michael has held many solo exhibitions of his work and has won numerous prizes during his career, most recently the Sean Keating award and silver medal at the RHA’S 186th annual exhibition in 2016. 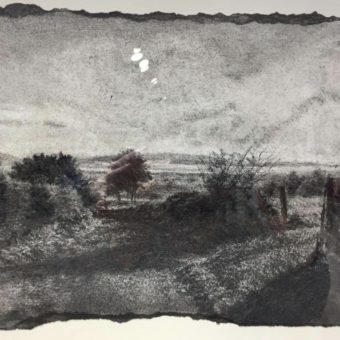 Michael is perhaps best known for his meticulously rendered vignettes of rural Ireland, executed exclusively in charcoal. We are happy to welcome Michael to the Lavelle Art Gallery.